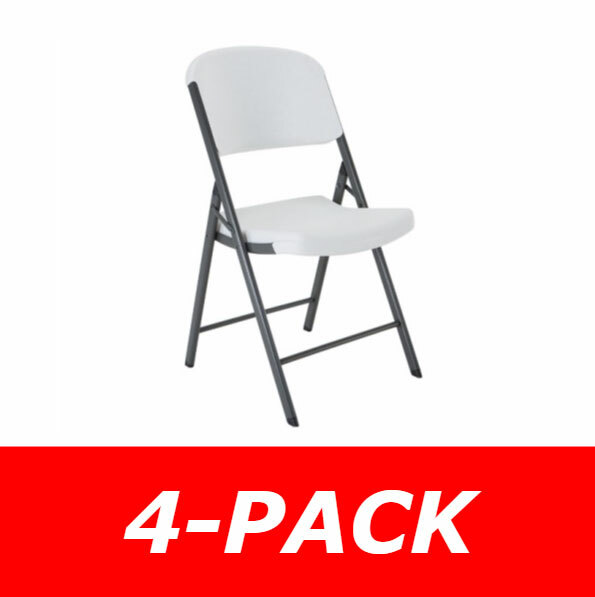 Product: 4428 (pallet 24 pack) Lifetime 4 foot White Granite Fold-In-Half Adjustable Tables Includes 24 tables. 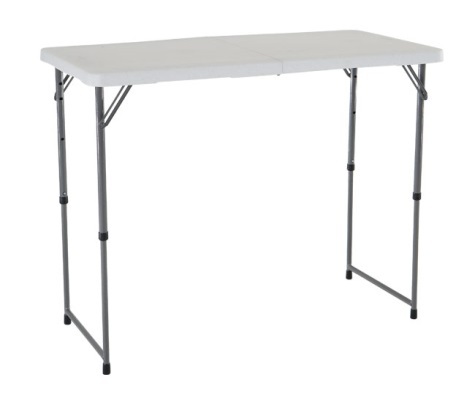 The Lifetime adjustable height folding tables 4428 includes 4 48" x 24" Granite Molded Top and 1" Round Gray Folding/Adjustable Frame. These folding Lifetime tables not only resolve problems with little storage, small spaces and portability, they also accommodate people of varying heights and tasks that require different height levels. Each Lifetime adjustable folding table has telescoping legs which allow for simple, rapid adjustment to make you more ergonomically comfortable. The 4428 Lifetime Folding Tables are perfect for the college student with little space, trade shows, children work tables, and both adult and juvenile card tables. Adjustable height tables are also great for an extra table while setting up camp! 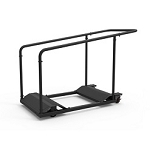 - 4-foot adjustable height folding table thickness of tabletop unfolded is 1.5". Lifetime 4-foot adjustable folding table is ideal for Home, Office, Crafts, Outdoor Activities and More! The Lifetime Adjustable Fold in Half Tables patented steel frame design is protected with a powder-coated weather-resistant finish and provides a sturdy foundation. Each Lifetime folding 4-foot table is made of high-density polyethylene, which is stronger, lighter and more durable than wood. Because Lifetime fold in half portable tables is made of polyethylene, they will not crack, chip, or peel, so feel free to use the Lifetime folding tables indoors and outdoors. Lifetime camp tables fold flat for storage and are backed by a five-year warranty. Make your life easier with a portable folding table from Lifetime. 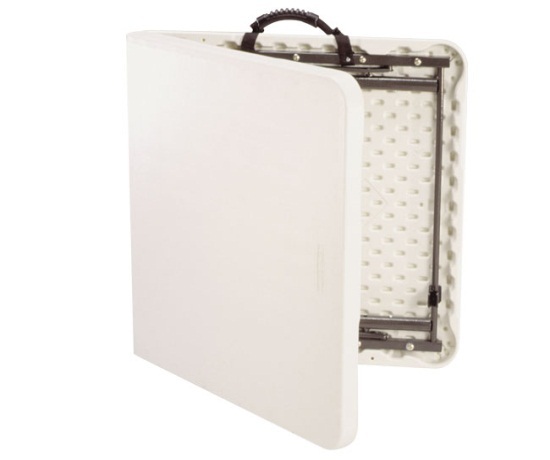 44428 plastic tables are made of high-density polyethylene and steel frames. The Lifetime folding table with telescoping legs is suitable for many tasks and can make your life easier and more convenient. A: This has a 10 year warranty through the manufacturer. Fast Shipping: Orders for the 4428 (24 - Pack) generally leave the warehouse the next business day.